Want a Hobie Mirage Drive kayak but have nowhere to store it? The Hobie i9s inflatable Mirage Drive kayak is just the solution. 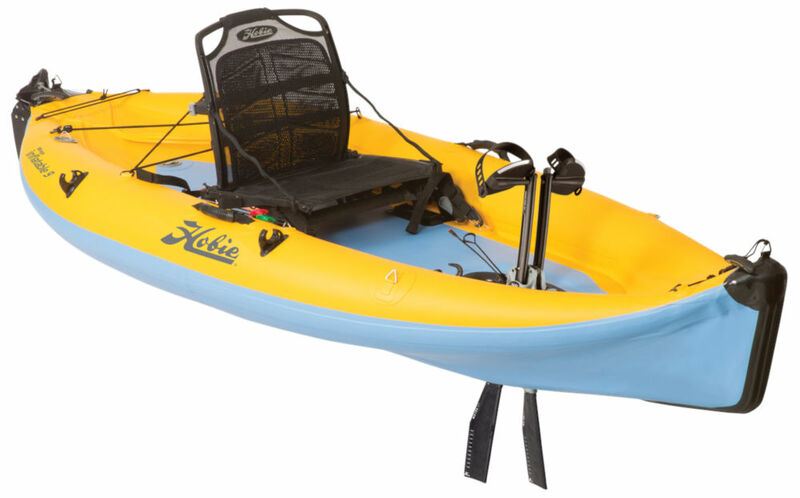 Hobie’s i9S was specifically designed for would-be kayakers who are shy on spare acreage but who dream of spending their time kayaking, fishing or sailing (via the optional Sail kit). The i9S’ on-the-water performance rivals that of rigid boats, and its rugged, PVC-vinyl construction and reinforced underside eliminate fears of rocky beaches. A wheeled travel case makes transporting a snap and enables stowage on an RV, car or yacht. This latest specification includes the latest Vantage CTi Seat. This new state-of-the-art designed seating systems includes 4-way adjustablity for more comfort in the cockpit or on the beach, Enjoy breathability, infinite flexibility and better visibility. There have been futher dramatic improvements to the Mirage Drive system itself with the inclusion of the MirageDrive 180. This allows full power reversing by simply pulling a lever – making it super easy to manoeuvre even the longest Hobie. We offer a delivery service for the Hobie i9s to home and work addresses throughout England, Wales, Scotland, Northern Ireland & Ireland. Buy a Hobie i9s online from our website and collect from our store in Newhaven, East Sussex or from any branch within the Canoe Shops Group. There is no cost associated with this*. We can now offer 0% Finance on the Hobie i9s (0% APR Representitive).